A colourful gateway to your sensory or play garden. Includes multi-coloured light panels at the top and sides creating an array of colours from natural sun light. Suitable for wheelchair users. A set of 2 fun and versatile seats not only suitable for inside the classroom but also suitable for outdoor use. 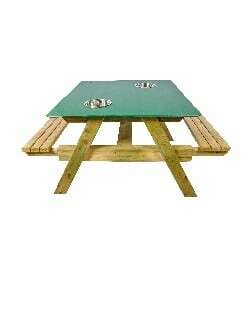 Use as a role play setting or reading corner or just let children use their imagination! 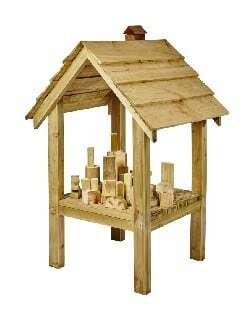 Our Timber Yard is a popular addition to any Roleplay area with its stackable building blocks, and table set at a convenient height, which allows the children to test their building skills and enjoy imaginative games with friends. Our entire range of treated timber frame products use Postsaver; which help to prolong the life of the timber post and protects it from rot and damage caused by grass cutting. This product is available for in-ground installation.